Many say capacity building is the engine of human development. We believe developing global capacity is about creating and enabling transformations that empower the individuals, as much as the communities they service. 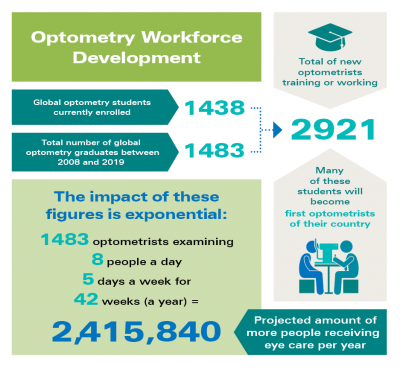 Today as we celebrate World Optometry Day, we encourage you to pause to reflect on the fact that optometry, as a profession, is very young in many global locations emerging more rapidly over the last 10 to 15 years. The scarcity of trained eye care professionals in emerging nations and how that inequity directly contributes to disadvantaged lives and a critical loss to the overall economy, cannot be underestimated. Brien Holden Vision Institute Foundation believes people are best empowered to realise their full potential when the strategies of development are sustainable and integrated, long-term, generated and managed collectively by those who stand to benefit. With this ethos firmly in mind, we have pursued innovation in developing the building blocks of the optometry profession. We are creating a range of specialty training to support the pioneering leaders of optometry and sustainable growth of optometry in each region. These innovations are centred on educating these emerging leaders in their trailblazing context by bringing together and providing a comprehensive and unprecedented spectrum of optometric education. “Our online Academy learning platform has enabled us to bring together faculty from 17 schools across 12 countries to learn together, and work through innovative evidence-based concepts and strategies for learning and teaching optometry. Over the program we have seen a strong community of optometry faculty form and grow through the online discussions and conferences enabling sharing and learning from each other,” says Judith Stern, Director of Academy, Brien Holden Vision Institute Foundation. The Optometry Faculty Development Initiative’s leading goal is to support and enhance the education of optometrists enrolled as faculty in emerging optometry schools across the world. It is a combination of the EyeTeach Program, a Managing Myopia course, an interactive Virtual Refractor and units addressing key social and development issues such as Gender Equity in Eye Health and Child Protection. We are also currently pursuing a global roll-out of additional optometry sub-specialities such as a Low Vision Master’s Degree course, Paediatric Refraction training and the Advocacy in Eye Health course we have designed in collaboration with the World Council of Optometry to inform professional associations. “We have worked hard to ensure we have the commitment from the Department Heads of the 17 emergent schools of optometry that we support, by engaging them directly at the onset of the Optometry Development Faculty Initiative. Their backing will encourage a unified approach and create the supportive environment conducive to new educational methods that will ultimately and effectively translate into quality education and delivering eye care,” says Dr Luigi Bilotto, Director of Education, Brien Holden Vision Institute Foundation. 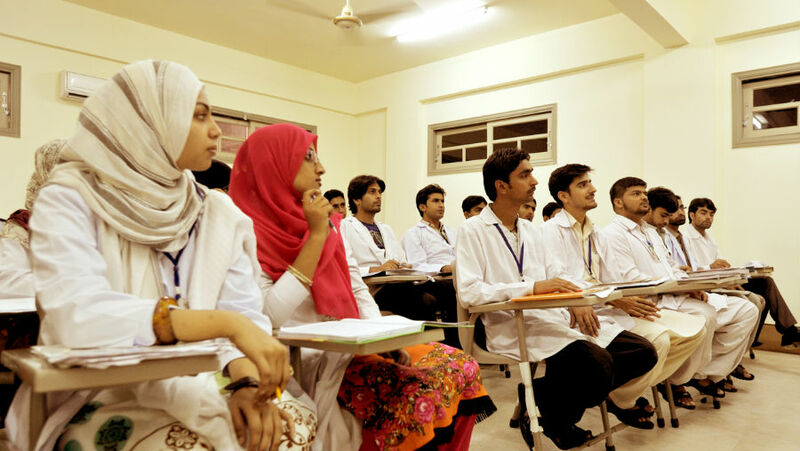 This globalised initiative is enabling graduates and post-graduates to gain the necessary skill sets to be able to teach the new optometry students coming through the emerging schools of optometry in each location and region. Join us as we reach out today and consider what you can do to support the global development of optometry – whether it is offering mentorship to emerging graduates or following the progress of an emerging school via social media. Together we can do more to support the first-generation optometrists.